It’s not every night you stumble across something on the internet that is as bizarre as being officially acknowledged for helping to find an exoplanet. 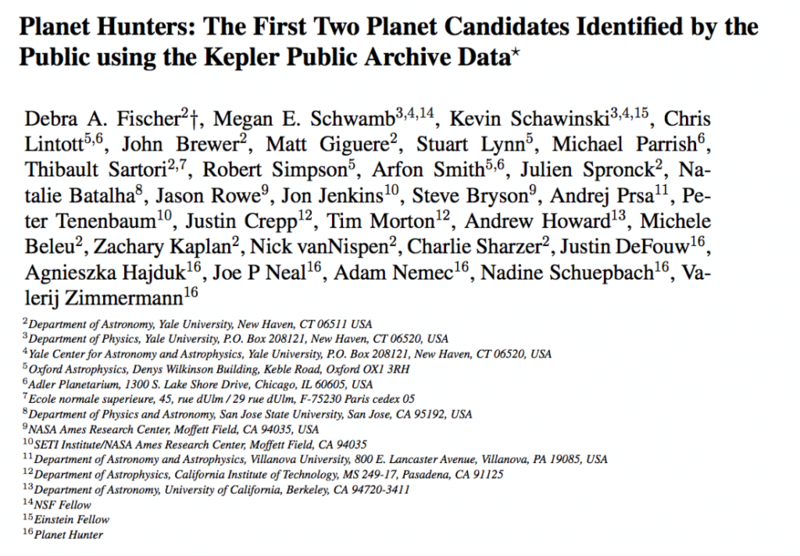 I enrolled with Planet Hunter years ago (around 2011), and dabbled for fun picking out images that may indicate the presence of a planet orbiting a star. Easy stuff really. Looks like we found two exoplanets, detected by amateur astronomers using the Planet Hunters’ Zooniverse project. The first planetary system, KIC 10905746 hosts at least one planet. KIC 10905746 b is a Super-earth planet 2.5 times larger than earth, orbiting the 13th magnitude M-type star, which is located in Cygnus constellation 500 light years away. The second is KIC 6185331 b, an extrasolar planet, 7.9 times larger than the Earth, orbiting 15th magnitude star KIC 6185331, which is located in Lyra constellation 4784 light years. Both exoplanets have tight fast orbits around their stars (orbits are 9.88 and 49.8 days respectively) so they’re pretty inhospitable. Hopefully, more data would reveal more planets with longer and wider orbits in these systems because now I have to include these two in a space opera if I get to writing one. If you take a close look at the affiliations, you will see that #16 is called “Planet Hunter.” That’s because this paper reports the discovery of two planet candidates discovered by our volunteers – and naturally, we included those those who were the first people to identify possible transits in the the 9 stars discussed in the paper. 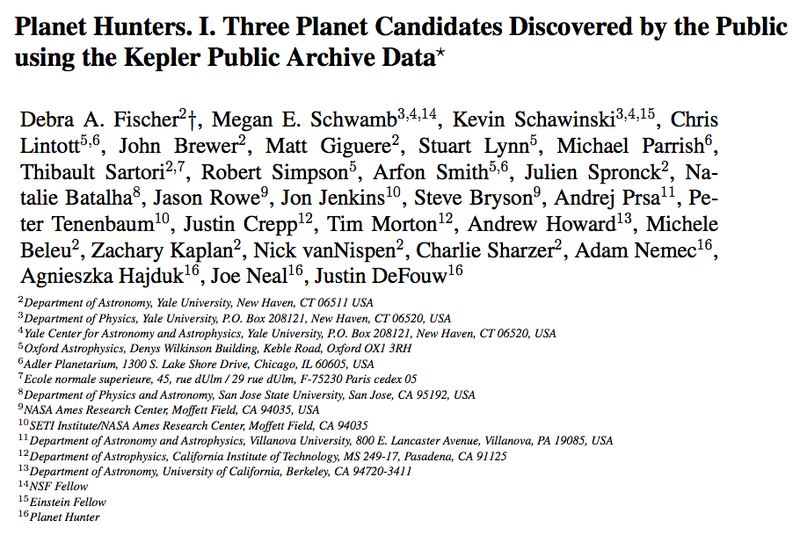 We also include a link to the full list of all Planet Hunters; you can find it here.